Ibtihaj Muhammad 12/4/1985 Maplewood, NJ. 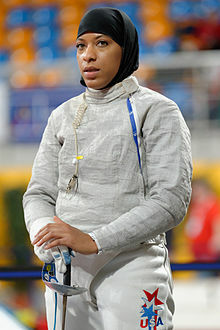 First American athlete to wear a hijab in the Olympics. First female Muslim-American to win a medal in the Olympics.